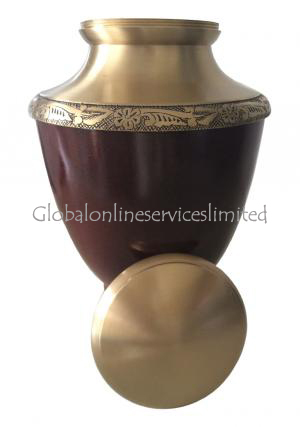 Affordable Price On Large Maroon Finish Antique Border Adult Cremation Urn for Ashes UK. 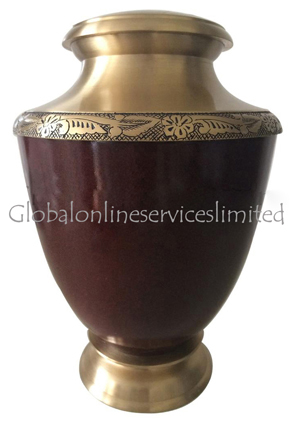 This maroon Finish Antique Hand Engraved Border Adult Urn is two colored. The main body is maroon in color, and the top and the bottom are gold in color. The borders are engraved by hand. This urn is cylindrical in shape and opens at the top. It has a threaded rim, which allows it to be closed firmly and completely. 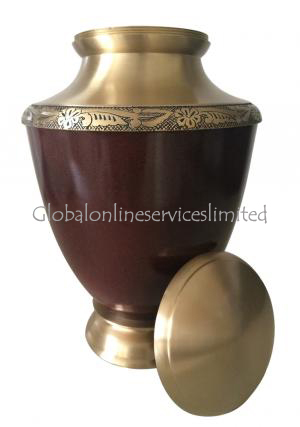 The urn is made of brass, which makes it one of the stronger urns available in the market. It is about 1.9 kilograms in weight and the dimensions are Height:10", Diameter:21", Base-Width:4", Cap Width:5". The size of the urn makes it perfect for the last mortal remains of an adult. 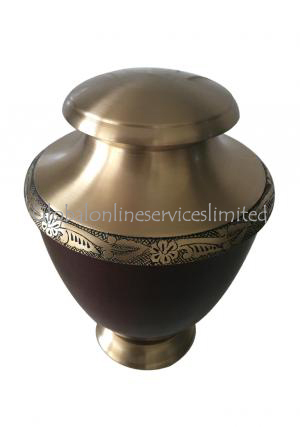 This urn can either be used as the main urn, or a secondary urn that would keep the mortal remains of a lost dear one. 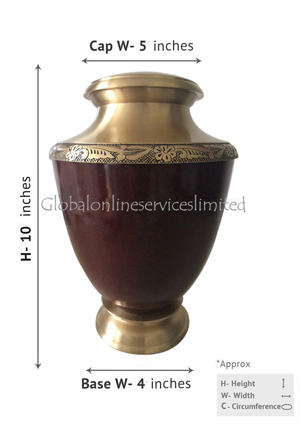 The darker shade of maroon gives the urn a bolder and yet subtler look, and would be a perfect set in any home decor.